Community Publishing of Andover, Inc. (a 501(c)(3) non-profit corporation) publishes The Andover Beacon monthly and several annual community publications throughout the year. It also manages AndoverBeacon.com, which features articles and photos that will appear (and some that won’t) in the up-coming print edition of The Andover Beacon. 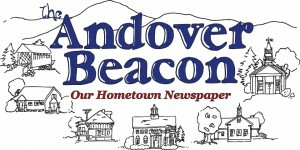 While the Beacon is definitely the lion’s share of this job, another important benefit that Community Publishing of Andover provides to the community comes from our involvement in other community publishing projects, most notably the annual Town Report and the annual Fourth of July program. The Publisher/Editor is both the team leader and the public face of The Andover Beacon and Community Publishing of Andover, Inc. The bulk of the job is managing the flow of content — articles, photos, ads, data for the Town Report, lists for the Fourth of July program, etc. — from the community, into our production team’s workflow, to the printer, and into the mail. This is a part-time paid position, approximately 87 hours per month. The Publisher/Editor reports to the Board of Directors and works closely with all paid and volunteer staff. Comfortable with computers. Proficient with (or eager to learn) Microsoft Office (Word, Excel, Access), and Google Drive (Docs, Sheets). Familiarity with Adobe InDesign and Photoshop (or similar) is a plus. Comfortable with (or eager to learn about) “the cloud” and working as part of a virtual team. Relatively little goes on in the Beacon’s office; people do much of the hard work from home. And the trend in that direction is accelerating all the time. Comfortable with people, both in terms of managing a team of paid staff and unpaid volunteers; and in terms of getting cooperation from people in the community who don’t work for you. Comfortable with process, procedure, and deadlines. We produce an extraordinary volume of high-quality work for a team of our size, thanks to our highly-tuned processes and procedures for managing hundreds of “moving parts” (articles, photos, ads…) and our relentless focus on every intermediate deadline leading up to the final deadline. All time estimates below are only best guesses. They are based on years of experience but little hard data. It’s not clear at this point whether adding social media will also add one or two new responsibilities here.